Tenancy at Sufferance Definition - What is a Holdover Tenancy? What is a tenancy at sufferance (also known as a holdover tenancy)? Learn the full definition and how to manage a holdover tenant here. A hold-over tenancy is created when a tenant remains on the rental property without the landlord's permission even though the agreed lease period is already over. 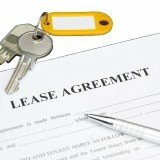 The former lease can be of any type, including fixed term lease, month to month lease or verbal lease. A tenant at sufferance starts off as a lawful tenant but once the lease expires, he or she will lose all renters legal rights. Even though there are no holdover tenant rights, a landlord has to proceed very carefully when dealing with such a tenant. While a tenant at sufferance is viewed as a trespasser under the law, the landlord has to go through the proper eviction process to remove the person. In most cases, the landlord doesn't have the right of self-help, meaning that the landlord cannot attempt to chase off the tenant without obtaining a court order first. In some states, a fixed term lease will automatically transit into a month to month lease (instead of a holdover tenancy) once it expires. Don't accept any rent payments from the tenant once the lease has ended. Don't wait too long (15 days or more) before you take eviction action against the tenant. In almost all states, the landlord cannot remove the tenant without a court order. Evicting a holdover tenant is different from removing a regular tenant. You can file an unlawful detainer in your local courthouse directly - There is no need to send the tenant a perform or quit notice beforehand. Once the unlawful detainer is filed, the tenant will be summoned to court. If the landlord wins the lawsuit, he or she will be awarded damages and the tenant will have to vacate premises within 24 to 48 hours.